Please click on the link below to complete the School Climate Survey. PLEASE NOTE: The new time for arrival is 8:00 AM. Doors open at 8:00 am and the late bell rings at 8:15 am. Dismissal time remains 2:50 PM. 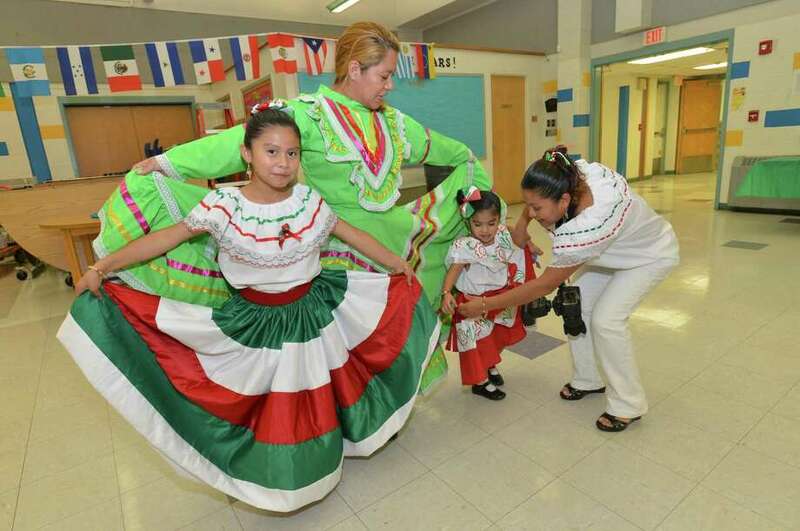 Fox Run Celebrates Hispanic Heritage Month! Fox Run School is a place where a dedicated and caring staff is committed to working with families to promote a love of learning for children! Fox Run School houses about 450 Pre-K through 5th grade students with approximately 75 staff members. A diverse community of learners, it is home to families from many different racial and ethnic backgrounds. These differences are celebrated in many ways throughout the school year as students learn to respect cultural differences while learning valuable ideas from one another. Fox Run aims at building strong bonds between students and teachers as staff strives to create a positive school and classroom environment through the PBIS program – a community building process that builds respect and establishes a cooperative learning environment. An active Parent-Teacher-Organization works hard to ensure that children are afforded many exciting opportunities that will enrich their learning experiences. The P.T.O. is very supportive of our learning community! United Way and General Electric grant funding make it possible to have an A.M. Reading Academy and Fluency Academy that offers many students additional support in the area of literacy before the school day begins. Fox Run is so fortunate to be a School of Hope through United Way that focuses on the single outcome of achieving grade level reading by the end of third grade. Fox Run School is also fortunate to be able to provide an after school homework program. Many opportunities like these are in partnership with the Norwalk Housing Authority. Fox Run’s Family Resource Center is located on site to provide assistance to families to raise and educate their children. They also sponsor a highly successful after-school enrichment program, ELL adult education program, and a mentoring program which provides positive role models for needy students. New to Fox Run is the Connecticut Kindergarten through Grade Three Literacy Initiative (CK3LI), funded through the Grossman Foundation, in partnership with LiteracyHow in North Haven, to help establish school-wide literacy practices. In-class coaching, expert small group interventions and a teacher’s professional development series are some of the benefits of this initiative helping to raise the level of student achievement at Fox Run. Also new to Fox Run is an ELLI Model Pre-Kindergarten classroom for children ages 3-5 (The Early Language and Literacy Initiative). Stepping Stones Museum for Children, in partnership with Literacy How, is committed to this pre-kindergarten model so students will have the essential language and literacy skills needed to become proficient readers by third grade. Technology is becoming increasingly important for 21st century learning. Fox Run boasts a state of the art computer lab with wireless internet access throughout the school. All grade level classrooms have interactive SMART boards to enhance students’ learning experiences with Common Core State Standards aligned curriculum. Go Math! and Journeys, two programs adopted by the Norwalk Public Schools, provides children with standards aligned resources to deliver instruction in math and language arts. Fox Run School is a community of learners!